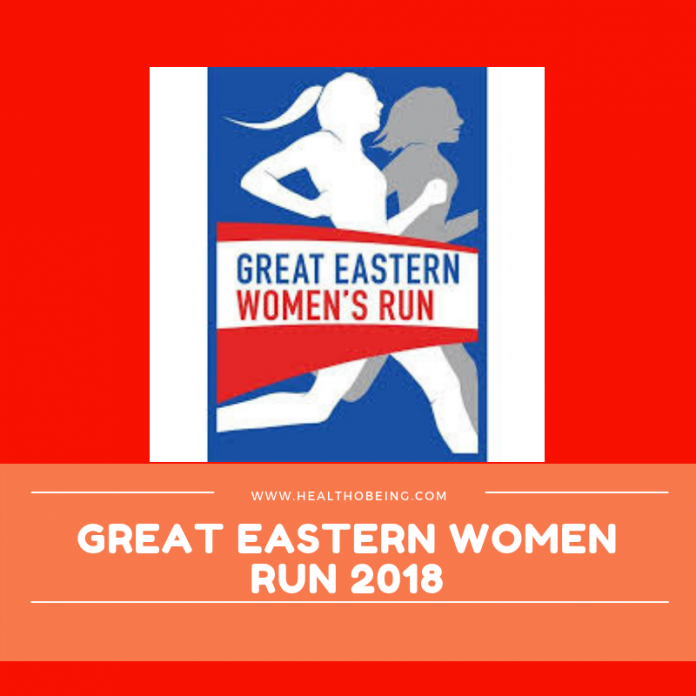 Review: Great Eastern Women's Run 2018 (by healthobeing) | JustRunLah! Another hot favourite for the ladies, the Great Eastern Women Run never fail to attract large number of female participants to join annually. 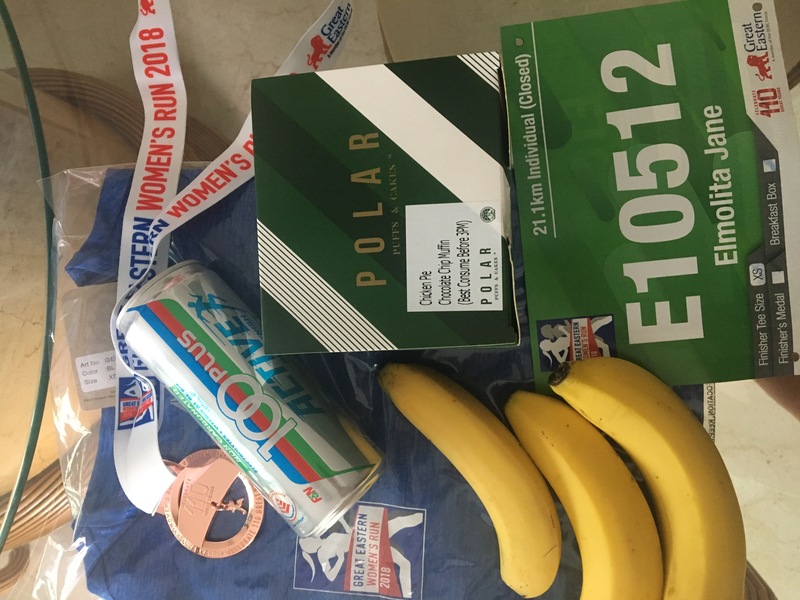 From goodie bag, to the race itself, the race never fail to surprise the ladies. 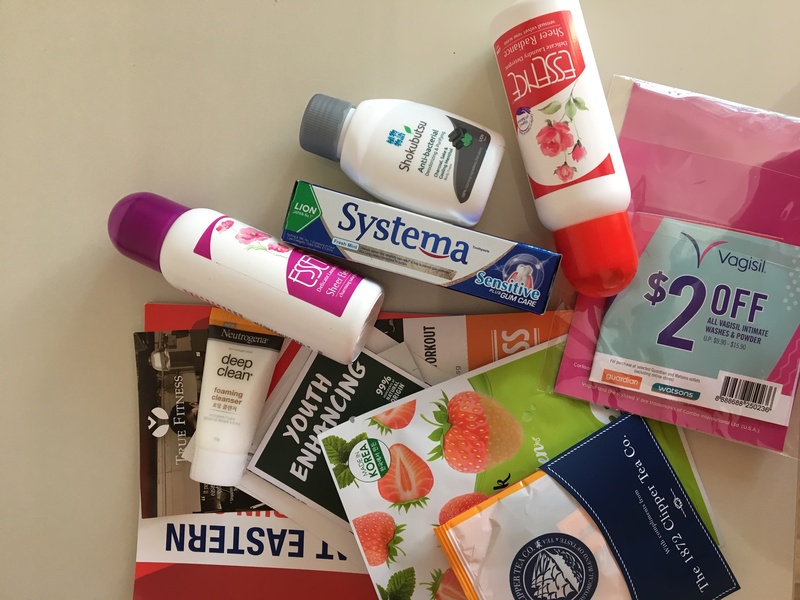 Race pack collection was held at Marina Square atrium over four days, there was ample time for the participants to collect the goodie bag. Beside a nicely designed sports bag with tons of goodies and coupons inside. You can order a tutu as a donation for Breast Cancer Foundation, Community Chest (for children with special needs) and SingHealth Duke-NUS OBGYN Academic Clinical Program, a programme to fund research to improve clinical and health care for women and their babies. The race takes place at the National Stadium. The 21.1Km was held back nearly an hour because of the lightning situation. The participants were already in the pen, but on the last check before flag off, the organiser informed that due to the CAT 1 ( lightning ) weather, the race has to be postponed till further notice. 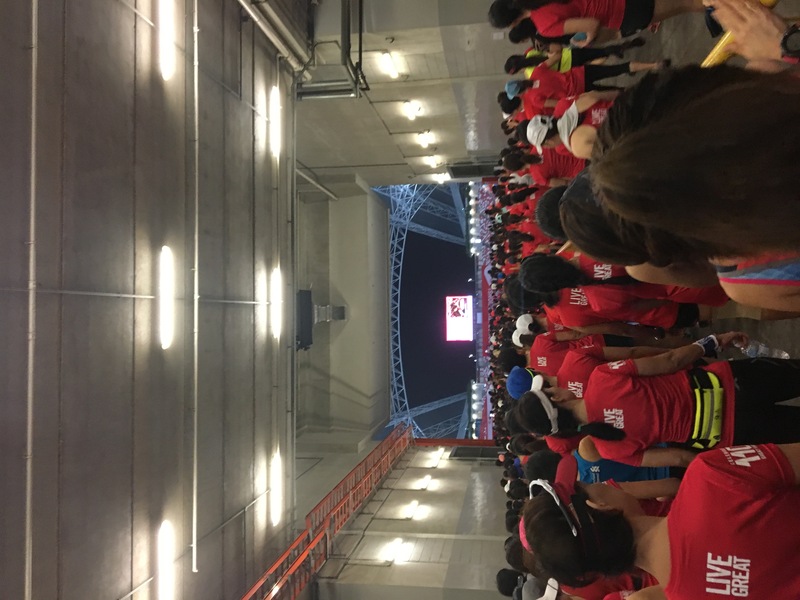 Participants were able to seek shelter inside the new covered National Stadium. Just minutes after the participants got in, it started to pour. 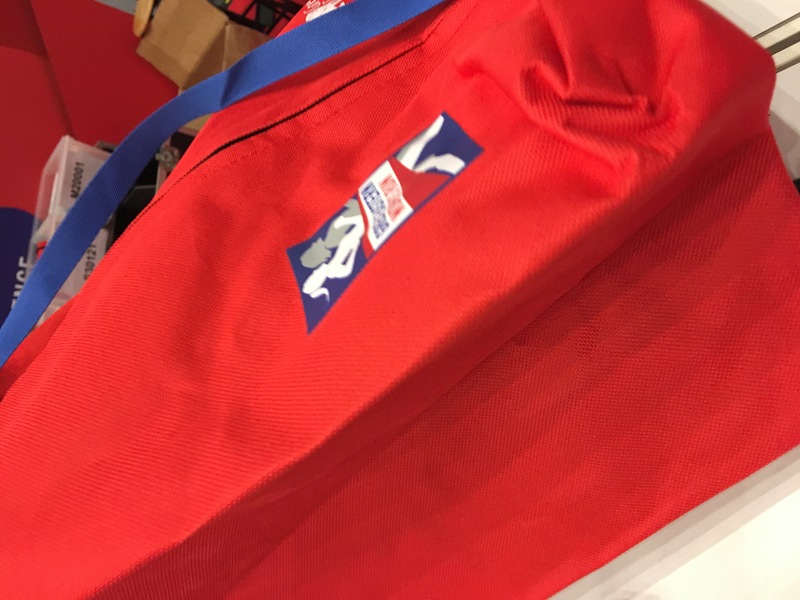 The organiser was also very prompt in informing about the start time, although it was still early and most of the exhibitors at the finishing pen were not in yet. Participants were still able to rest and go to toilets while waiting for further notice on the race start. Flag off was 5:15 am and about 6:15 am the organiser opened up the pen for participants to go in again. The cool weather was really quite conducive for running. Some participants might have left as the announcement also said that medals and finishers’ tee will be dished out at 6:30am. The majority still very enthusiastic, still went ahead. The race route on the whole was quite well planned. 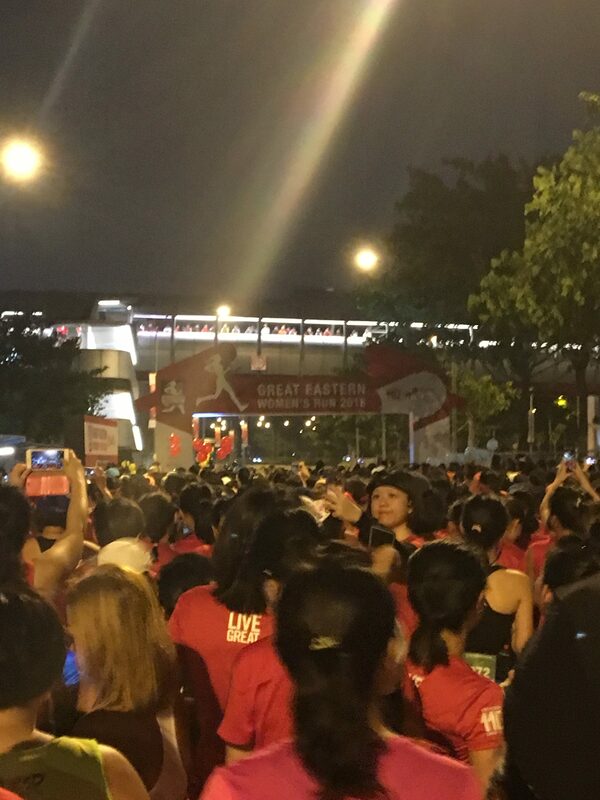 Despite that, some of the runners got lost while in the route especially when turning back to the Kallang Stadium. Another main bottle neck was faced when the runners cross the Kallang Bridge and merge together with the 10km and 5km participants. This point was really quite difficult to manoeuvre, especially when many of the shorter distance participants were there walking and taking pictures, the passage way narrow and participants have to fight with the public too. The finishing was inside the stadium itself. 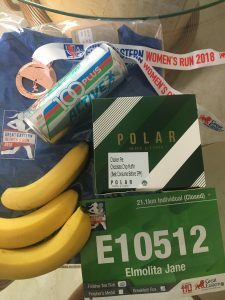 Runners’ entitlement of the finisher tee shirt, medal and to my surprise a box of polar puff breakfast was dished out to the participants. At the same time runners can get their usual hydration and banana to replenish their energy. There were also many perks at the end of the run. Pop corn, candy floss , snacks and many other food stuff were also available for the participants at the end. There was also photo booths for you to take commemorative photographs as keep sake. 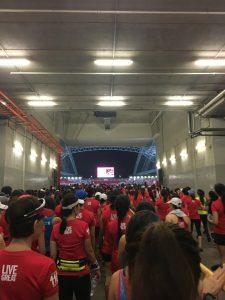 The race was pretty well organised and the choice of doing it at the National Stadium was good for the year end wet weather. I especially enjoy all the booths with also zumba sessions, massage for those who came back early. 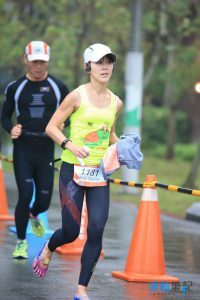 Ladies who are doing their first races especially Half Marathon in Singapore should consider this race!